Joseph Stahl retired from the Institute for Defense Analyses where he authored or co-authored more than 50 reports on defense issues. 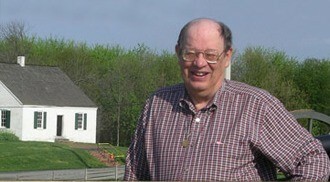 Since his retirement he has become a volunteer and Licensed Battlefield Guide at Antietam. He grew up in St. Louis, where he earned an MBA from Washington University in St. Louis. He is a member of the Company of Military Historians, SHAF, the Hagerstown Civil War Roundtable and is co-author of the first book on ID discs Identification Discs of Union Soldiers in the Civil War. He has spoken to various Civil War groups including the Northern Virginia Relic Hunters, South Mountain Coin and Relic Club, Rappahannock,York and Hagerstown Round Tables, Chambersburg Civil War Tours, Save Historic Antietam Foundation and the NPS Antietam. In addition Joe has authored more that two dozen articles about items in his collections for the Gettysburg Magazine, the Washington Times Civil War Page, Manuscripts, America’s Civil War, Military Collector & Historian the Journal of the Company of Military Historians, the Civil War Historian and the Skirmish Line of the North-South Skirmish Association. Displays of items from of his collection have won awards at several Civil War shows. He has been a member of the North-South Skirmish Association for more than 20 years and has shot civil war type muskets, carbines and revolvers in both individual and team competitions. On Wednesday, July 13th Joe Stahl will present his Summer Lecture Series talk “ID discs and Images of soldiers at the Sunken Road”. Battlefield Guide Joe Stahl will share with you a display of six images and six ID discs of Union soldiers who were present on September 17 in the fighting at the Sunken Road. Their units belonged to MG Richardson’s Division of the 2nd Corps. Joe will talk about each soldier’s service and what happened to him. Come join leading historians, Antietam Battlefield Guides, NPS volunteer interpreters and living history presenters as they discuss intriguing topics of the Maryland Campaign of 1862 and the Civil War during our Civil War Summer Lecture Series. These Wednesday evening programs are free and open to the public. They will be held outdoors on the grounds of the Jacob Rohrbach Inn at 7:oo p.m. Feel free to bring a chair or blanket to sit around the event tent.In case of inclement weather talks will be moved to the Sharpsburg Christ Reformed United Church of Christ. Parking is available on Main and Hall Streets.